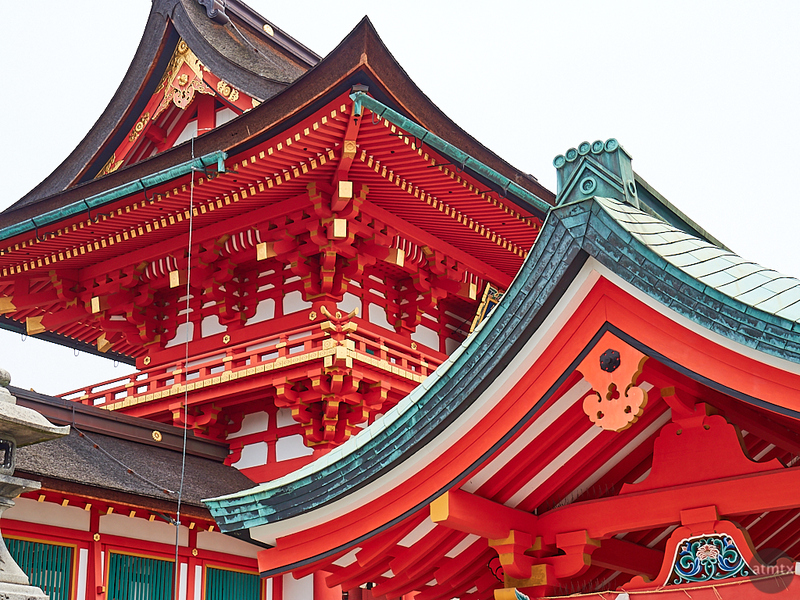 The roofs, and the structures that support them, can be quite elaborate in shrines, as well as visually stunning, especially with the freshly painted vermilion. I wanted to capture a mix of roof types in this image. Notice the copper cladded roof in the foreground and the thatch like natural material in the background. Looking closely, I noticed that both roofs have a complex design with curves in multiple dimensions. Notice how the corner of the thatched roof curves up. A lot of complex geometry here and which takes skilled carpenters to execute. These were built about 500 years ago and recently renovated. Shot at a 58mm equivalent on the Olympus OM-D E-M5 Mark II, with my favorite travel lens, the Olympus 14-150mm f4-5.6. The entire series is brilliant, in more ways than one. The amount of crisp detail coupled with vivid colors compels me to ask: do you feel your use of Capture One in processing has made a significant contribution to that success? Yes, absolutely. Capture One has certainly improved the technical quality of my photographs. While there are things I still prefer in Aperture 3, the RAW processing and editing tools in Capture One are considerable.